The 10 Best Places for Appetizers in Iowa! If you are looking to share some plates or get a great start on the perfect meal, you can find exactly what you are looking for in Iowa. 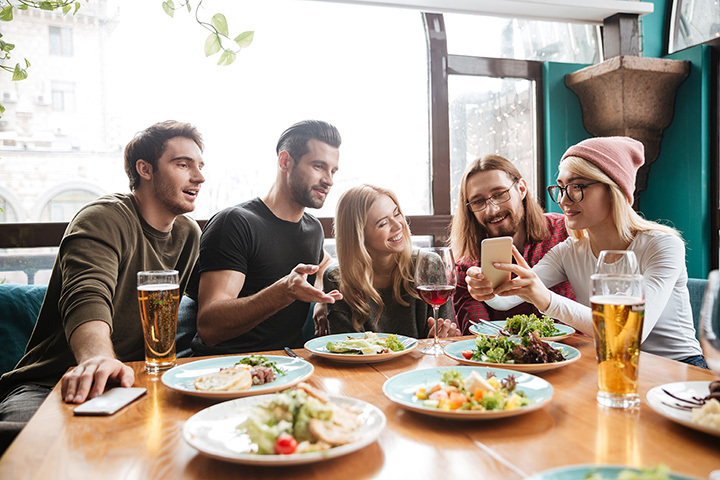 Spread across the entire state, Iowa contains not only a dense collection of great restaurants, but also provides a huge selection of delicious appetizers. From Iowa beef medallions to spinach artichoke rangoons, you’ll find many great beginnings to a culinary experience in Iowa, and chances are the fun won’t stop there. Short for Restaurant on Court Ave., RoCA is one of Des Moines best places to eat, and between their small plate and unique cocktail selections, RoCA is a great place to start, spend, and end your night in Des Moines. With over a dozen small plate options, including Iowa beef medallions and shrimp skewers, there is always more than one thing to share at RoCA. A classic in the Iowa City lunch and dinner scene, Atlas has a full menu of appetizers, entrees, and desserts to choose from. If you are looking for something to start your meal off right, the appetizer selection at Atlas can fill your hunger. Between tuna crisp starters and truffle fry appetizers, it’s easy to find something to like with the Atlas appetizer selection. Named after a local neighborhood in Brooklyn, thanks to the Cobble Hill Eatery & Dispensary, you don’t have to leave Iowa to find upscale, big-city food and appetizers. Serving the Cedar Rapids neighborhood, patrons visit from across the state to sample Cobble Hill’s decadent fares and cocktails. To start your experience right at Cobble Hill, it’s recommended to start on the bar snacks or appetizer menus with something like fresh-shucked oysters or potato pavé. Spanish paprika rubbed coppa, lardo, tellegio, Wisconson manchego just to name a few highlights of tonight charcuterie plate. For a great start to your dinner selection, Olde Boston’s of Ft. Dodge serves up the appetizers right. Alongside their lengthy menu of pub offerings, patrons at Olde Boston’s can begin their meal with the likes of Boston bites, tavern tots, or coconut shrimp. Once the appetizer has been served, the real fun at Olde Boston’s begins. Located on the south side of Iowa City, the Club Car is a local favorite thanks to their generous drink selection and great selection of entrees and appetizers. Split between two appetizer menus, you can find all your bar favorites to start your meal at the Club Car, including chicken strips, cheddar cheese nuggets and baskets of wings. Featuring an extensive wine list, a comforting ambiance, and a great food selection to choose from, Montage can be found in the heart of Cedar Falls and at the center of culinary action in the city. Serving the area for nearly 20 years, Montage has perfected their appetizer menu to include all the fan favorites like bacon-wrapped scallops, Southwestern chicken cheese dip and smoky chipotle hummus and naan bread. For an Irish appeal to your afternoon or evening, Dublin Bay in Ames has a long reputation of serving up the fun, flavor, and an all around good time. Featuring an extensive menu of appetizers or entrees to go along with the extra stocked bar and cocktail offerings, a great way to start your experience at Dublin Bay is with starters like Irish soda bread & butter, black and tan onion rings, or the boneless-chicken Dublin Bay planks. Featuring wood-fired steaks and ice-cold beer, there are plenty of reasons to visit Sneaky Pete’s in Le Claire, including some first-class appetizers and starters. While you really can’t go wrong with any selection at Sneaky Pete’s, a recommended course of action includes loaded nachos, Wisconsin cheese curds and fried pickles. With a long menu of burgers, sandwiches, dinners and specials, Remington’s of Spirit Lake serves up every sort of flavor you could be looking for. The only thing that rivals the entree selection at Remington’s is their full-page of appetizers to choose from. While they all provide a great beginning to your meal, a few that always stand out on the menu include crab cakes, onion ring bricks and potato canoes. With a wide enough selection to satisfy the whole family, Briqhouse Bar & Grill in Waterloo is the place to go to battle a big appetite. Alongside a lengthy menu soups, salads, entrees and desserts, Briqhouse Bar & Grill specializes in appetizers including the likes of loaded waffle fries, spinach artichoke rangoons and homemade pepper jack sticks.